Welcome to the Arkansas sandwich restaurants directory page. You'll find listings of sandwich restaurants, shops, and delicatessens in this state. Scroll through the alphabetical city listings. Below each city you'll be able to find a list of sandwich restaurants, which are also listed alphabetically. When you click on any of the listings below, you'll be taken to that restaurant, shop, or deli's page. There, you can find more details about the restaurant. Things like the days and hours they're open, their address, and contact information. Hopefully they've added a little about the sandwiches they serve and any specials they have going on. As soon as we have restaurant listings from this wonderful state we'll be adding them here. 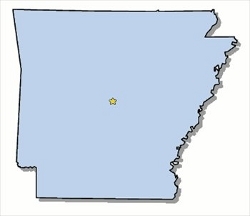 So if you're from Arkansas or have a restaurant there, we're looking for you! Until then, you might enjoy a few other pages on our site. Go from Arkansas Sandwich Restaurants to fill out one of our fun polls, or maybe you'd like to find a sandwich recipe. Most of all, we hope you enjoy our site. Do you know a sandwich restaurant, shop, or delicatessen, that's not listed here yet? Could you ask them to visit our sandwich restaurant directory submission page to create their own free basic or linked listing? You can help our directory grow. It will soon be a great resource for both the restaurant (FREE advertising Basic or Linked Listings) and for you, their customers, who are looking for a great sandwich. If you've searched our website and still can't find the perfect sandwich restaurant, why not try searching the entire web? Use the search box below. It will scour the internet for sandwich restaurants. Hopefully you won't get too hungry before you find the right sandwich. If you still can't find your favorite restaurant, why not make your own sandwich!! We have a list of all kinds of sandwiches and sandwich videos to help you make the perfect sandwich, as well. Have you read any sandwich poems lately? Here are a few and if you know of more, tell us about them. There are lots of fun things to do at Sandwiches Again? Look around and enjoy the different areas of our site.